Scroll down to see VIDEOS! Did I hear you say "If only I had room in my bag for one more thing..."? METHOD: "Fuse, Fold, & Sew". 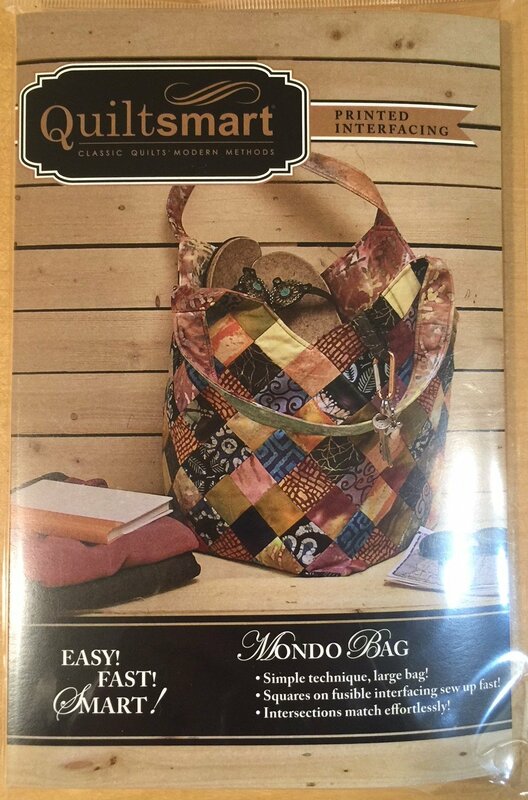 Perfectly-matched seams, easy construction, roomy, comfortable bag using Quiltsmart grid interfacing technique. Bag bottom is about 10" square with 17" tall sides. Comes in a 6" x 9" pack with interfacing & instructions to make 1 bag.